Eight Focke Wulf 190s were powering west wards, climbing smoothly, thundering over the fields and woods below. The vivid shades of green on the ground contrasted with and highlighted the red tile-colored roofs of the dwellings in the French villages and small towns dotted here and there. Railroad tracks snaked from east to west to disappear below the horizon. Major Kurt Bühligen, the tenth Kommodore of the famous Richthofen Geschwader and an Eichenlaub (Oakleaves) winner, was carefully scanning the sky and the ground, in anticipation of the classic bounce by enemy fighters. It was 7 June 1944. Just the previous day a huge Allied invasion force had arrived off the coast of Normandy and started landed on the beaches. Fierce combat was taking place both in the air and on the ground. 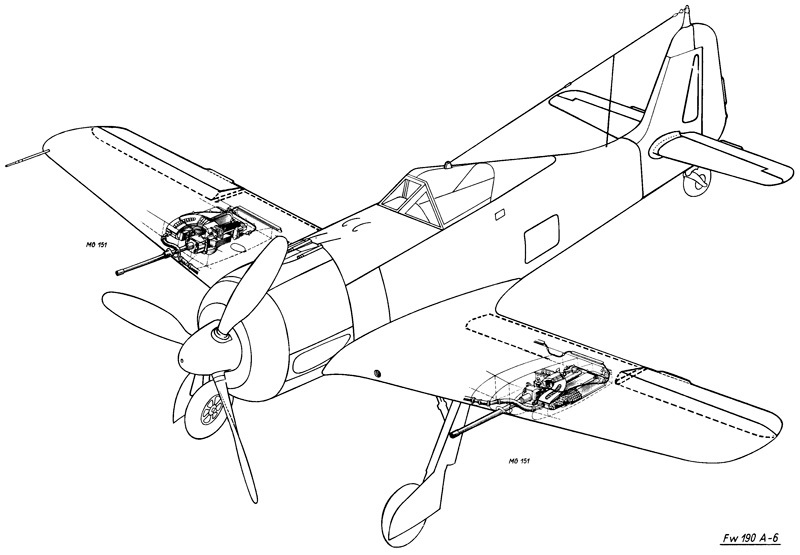 After a whole day of sorties, Bühligen’s JG 2 could put no more than eight serviceable machines into the air. It was no surprise therefore that the most experienced pilots were at the controls of these 190s following the order to fly to Carpiquet airfield east of Caen. According to the command post, enemy fighter-bombers were attacking German positions, the ground troops putting up desperate defensive action. There was no time to lose. The western horizon was hidden by clouds of smoke. Fires small and large could be distinguished in the distance. Moments later, the pilots saw artillery cannonades on the ground, the blasts raising fountains of earth, and tanks, small and box-like to the fighters, flashing fire from their guns time and time again. It was an unmistakable sign – they had arrived at the frontline. Agitated voices could suddenly be heard in the earphones. Someone was announcing the beginning of an attack. There was no doubt that fighters had tangled in a whirling melee close by. Bühligen recognized the voice. It was “Pips” Priller, Kommodore of the Schlageter pilots. Everyone knew that these two Kommodoren were closing on the magic number of 100 victories. The other pilots of both JG 2 and JG 26 were closely following the unofficial competition. Bühligen looked at the map. Quadrant UC 36 was not far. He turned north and after a while saw aircraft engaged in a swirling dogfight. “Fight, one o’clock, Hanni 40,”1 this was only pro forma – all the pilots knew their task. Major Bühligen felt a shiver of excitement down his spine, the first sign of “hunting fever”. He saw a whirl of aircraft before him. He easily recognized the FW 190s and silver Thunderbolts with black-and-white bands on the wings. There were many of the latter – too many! The other Focke Wulfs waggled their wings. Hptm. Huppertz, flying next to the Major, glanced across at him. At the same moment he noticed another group of Thunderbolts approaching from the south. The Kommodore of JG 2 banked his Focke Wulf over and swept in with the sun on his back. The fighter was accelerating fast. It was becoming less responsive to the movements of the stick. Bühligen had already selected his target. His eyes glaring at the gunsight, he counted down the distance: 500 m, 400 m, 300 m… The glinting wings of a Thunderbolt quickly filled his gun sight as he bore in on his quarry. The enemy did not react. Then the P-47 veered to port and prepared to attack one of the JG 26 pilots. Bühligen repeated his maneuver like a shadow. 150 meters. Not yet. Closer, closer! The German could already see the code letters on the opponent’s fuselage. 80 meters! He squeezed off a burst of fire. The FW 190 shook as the machine guns hammered. Within a fraction of a second, he registered the salvo slamming into the Thunderbolt. Bühligen pulled back hard on the stick to avoid a collision with the enemy. He shot a glance to the rear. The P-47 was going down trailing a long banner of smoke. After a moment, the bulky form of the pilot tumbled away from the falling aircraft. The white canopy of a parachute mushroomed open in the sky. Huppertz claimed a victory at the same time as he did. “Katschmarek, form up!” the commander’s voice was now calm. The last major battle of 1941 took place on November 8, when the English deployed two squadrons of Hurri-bombers to the St. Pol distillery with a cover of five Spitfire squadrons. The attack had another stage – Circus 110, i.e. twelve Blenheims escorted by eleven fighter squadrons, deployed to bomb the Lille rolling stock repair workshops. The entire strength of JG 26 and JG 2 were scrambled to fight off the raid, engaging the RAF fighters in wild swirling dogfights. II./JG 26 gave their opponents a foretaste of future battles by scoring seven times, Hptm. Müncheberg claiming two of these kills. Among the other scorers were such aces as Fw. “Addi” Glunz and the Staka of 4 Staffel, Oblt. Ebersberger. Polish pilots of the Northolt Wing, who were flying top cover, were the only contributors to the FW 190s’ losses in this combat – Uffz. Kern died near Dunkirk, while the adjutant of II./JG 26, Oblt. Lindemann, crash-landed his burning FW 190, suffering serious injuries in the process. Not long afterwards the first FW 190A-2 fighters were delivered to II./JG 26. 1941 ended dramatically for 6 Staffel. The German warships stationed at Brest were frequent targets of Bomber Command, and to defend against these raids, elements of JG 2 were posted to Brittany. The relinquished field at Abbeville-Drucat was now taken over by II./JG 26 in order to fill the gap in the Channel defenses. The move from Wevelghem took place on December 22. The FW 190s were airborne in appalling weather conditions, powering southwest at low altitude behind the Staka 6./JG 26, Oblt. Walter Schneider in an FW 190A-2 (W. Nr. 217, “brown 1 + -”). When the aircraft arrived in the Artois sector, they flew into dense fog banks and “Jap” Schneider lost his bearings. The pilots pressed on with the formation soon spread out in the ever-worsening conditions. Unfortunately, four pilots crashed into hills around Boulogne sur Mer and died. A fifth pilot also crashed in poor visibility. Among the dead was Walter Schneider, very popular with his comrades. He had accounted for twenty British aircraft shot down, and his machine was the first FW 190A-2 to be lost by JG 26. His replacement as Staka of 6./JG 26 was Oblt. Otto Behrens. 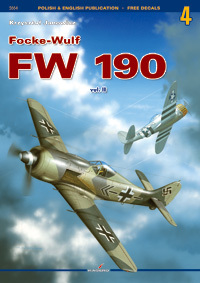 The winter period was spent re-arming Stab and I./JG 26 with FW 190s. Now a sufficient number of the new and improved fighters were stationed at the Channel to pose a real threat to British pilots. The first major combat test for the FW 190 was provided by Operation “Cerberus-Donnerkeil”. The Brest-stationed German battlecruisers Scharnhorst and Gneisenau as well as the heavy cruiser Prinz Eugen were to be re-deployed to ports on the Baltic. A high level decision was taken to send them via the English Channel right under the noses of the RAF and the Royal Navy, with the Jagdwaffe providing a continuous fighter ‘umbrella’ to screen the convoy. With the vessels slipping their moorings before dawn, the first British reaction did not take place until 13h30, when out of the gloom, six biplane torpedo Swordfish of No. 825 Sqn were sighted escorted by ten Spitfires of No. 72 Sqn. 9 Staffel engaged the escorts. Ofw. Koslowski and Uffz. Stavenhagen were shot down and Ofw. Starke of 9./JG 26 failed to return, having probably clipped the wave tops. Losses were thus quite considerable but this allowed the FW 190 pilots of III./JG 26 and Bf 109 pilots of II./JG 2 to attack the biplanes, which pressed on towards their targets under withering fire. All of the latter were shot down within two minutes. The Germans had to resort to an unusual combat tactic against the slow biplanes: dropping their gear and flaps, they juddered on the edge of the stall in order to remain on the tails of the torpedo-bombers flying at 170 km/h. Nine Swordfish were claimed in the mess. III./JG 26 pilots claimed three (two Oblt. Naumann and one Lt. Paul Galland), whereas JG 2 reported six victories. Having repulsed the first attack, the German pilots grew more watchful. Patrols over the vessels changed in regular intervals, driving away groups of British fighters. The Bf 109F-equipped I./JG 26 shot down one Spitfire but lost one pilot, too. A funny incident happened in which a late Fw. Glunz of 4 Staffel caught up and joined a Spitfire formation, mistaking them for his own Gruppe. Only by some miracle did he escape from this predicament and return to base. Before 16.00 British bombers arrived on the scene protected by groups of Spitfires; however, the FW 190s of 7./JG 26 quickly launched into attack, shooting down three of them, and two Wellingtons (The OKL did not credit these victories). Subsequently Hudson and Beaufort torpedo aircraft put in an appearance, their escorts clashing with FW 190s from III./JG 26. One of the Spitfires fell to Oblt. Ragotzi. Fw. Glunz’s unlucky streak was gone with another Spitfire, which plummeted into the water. The German warships headed for German harbors. Neither the Royal Navy nor the RAF were able to inflict any damage or loss. The only damage resulted from mines. JG 26 claimed seven confirmed victories (including five by FW 190s) and two unconfirmed for the loss of four pilots (three of these in FW 190s). The RAF lost a total of 43 aircraft.